Below you fill find all funeral homes and cemeteries in or near Parkville. Zip codes in the city: 21234. It was disclosed on August 11th, 2017 that David W Austin passed on in Parkville, Maryland. Austin was 84 years old. Send flowers to share your condolences and honor David W's life. It was written on March 23rd, 2016 that Wilma Padgett (Lawson) died in Parkville, Maryland. Ms. Padgett was 84 years old and was born in Dan, VA. Send flowers to share your condolences and honor Wilma's life. It was written on October 13th, 2015 that Zachary J Wilking perished in Parkville, Maryland. Wilking was 38 years old. Send flowers to express your sorrow and honor Zachary J's life. It was noted on May 28th, 2014 that Henry H Benner perished in Parkville, Maryland. Benner was 85 years old. Send flowers to express your sorrow and honor Henry H's life. It was noted on April 9th, 2014 that Garry Lee Smith died in Parkville, Maryland. Smith was 64 years old and was born in Blossburg, PA. Send flowers to express your sympathy and honor Garry Lee's life. It was noted by Cumberland Times-News on January 7th, 2013 that Agnes E Passapae (Chabot) died in Parkville, Maryland. Ms. Passapae was 90 years old. Send flowers to share your condolences and honor Agnes E's life. It was written by Cumberland Times-News on May 24th, 2012 that Brian Scott Leigh perished in Parkville, Maryland. Leigh was 42 years old. Send flowers to share your condolences and honor Brian Scott's life. It was reported on May 21st, 2011 that Pauline S Hough passed on in Parkville, Maryland. Hough was 90 years old. Send flowers to express your sympathy and honor Pauline S's life. 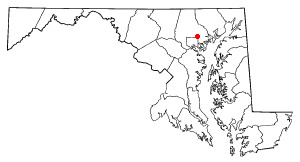 It was disclosed on April 24th, 2011 that Karen Kay miss Bath perished in Parkville, Maryland. Bath was 59 years old. Send flowers to share your condolences and honor Karen Kay miss's life. Parkville is located at (39.383039, -76.550065) . . . . . Listing all cemeteries in Parkville, Maryland so you can easily send flowers to any location (same day delivery) or find any funeral service. Listing all funeral homes in Parkville, Maryland so you can easily send flowers to any location (same day delivery) or find any funeral service. Find BBB Accredited Funeral Directors near Parkville, MD - your guide to trusted Parkville, MD Funeral Directors, recommended and BBB Accredited businesses. We work with local florists and flower shops to offer same day delivery. You will find budget sympathy flowers in Parkville here. Our funeral flowers are cheap in price but not in value.